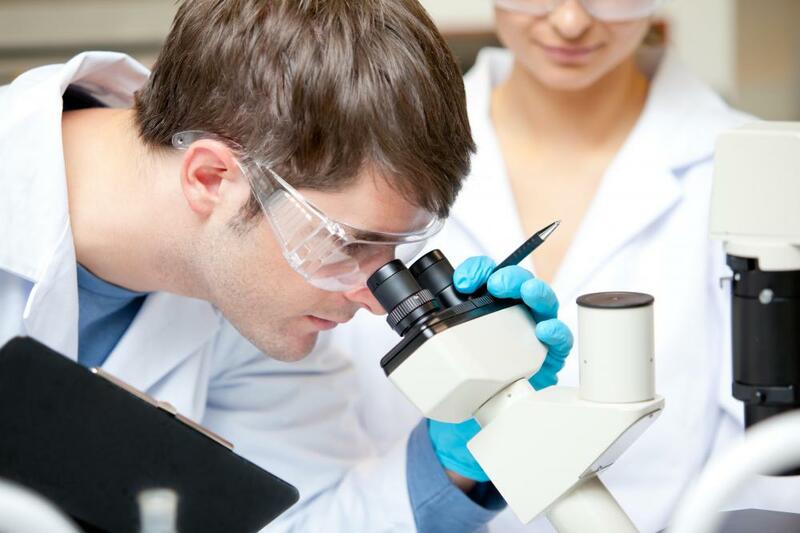 Many labs cover topics from the whole range of biology fields. Biochemistry and molecular biology are two branches of the natural sciences that both deal with the study of the chemistry of living organisms. There is a great deal of overlap between these two fields of study. Biochemists study the chemical makeup of living cells and all types of chemical interactions and processes that occur in any plant, animal, or other form of life. Similarly, molecular biologists also study the chemistry of life, down to a molecular level. While the fields of biochemistry and molecular biology are both heavily focused on biology at the level of an individual living cell, molecular biology often has a strong tendency to focus on the specific area of the genetic systems of a cell. These molecular genetic systems include protein biosynthesis, deoxyribonucleic acid (DNA), and ribonucleic acid (RNA). DNA and RNA are the molecules in the living cell that carry the genetic information of the organism. Some areas of research in biochemistry include cell membrane transportation, signal transduction, and protein synthesis. Cell membrane transportation is the movement of chemicals into and out of the cell. Signal transduction relates to how cells communicate using chemicals. Protein synthesis is the process by which a living cell translates the information in the genetic material into protein molecules. These processes are fundamental to most biological processes on a chemical level, and there are many other specialist topics and fields of study within biochemistry and molecular biology. 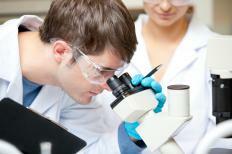 Biochemistry and molecular biology are complex fields of study. The number of different kinds of biochemical substances is very large, but usually the more complex substances are made up of simpler units, facilitating their study. It is believed that all known plants, animals, and other organisms have evolved from the same early life form, also known as a "common ancestor." As such, biochemists and molecular scientists often state that all life forms on our planet have a similar underlying chemistry. Research in a biochemistry lab often tends to focus on one or more specializations, but many labs cover topics from the whole range of biochemistry, biology, and molecular biology fields. Similarly, a biochemistry job or biochemistry career may well cover both biochemistry and molecular biology either simultaneously or over a period of time. As such, a biochemist job and a molecular scientist job are not mutually exclusive, due to the large overlap of the two fields of study. How do I Earn a Molecular Biology PhD?